A room is so much sweeter with complete access to the world outside. With our patio doors, you can slide them open to let in the breeze, the light and the wonderful outdoors. Our vinyl patio doors are also maintenance free – no painting or up-keep necessary – so your weekends can be as wide open as that incredible view! Our MountainView patio doors come standard with many features that are considered optional with other manufactures. In addition, our lifetime warranty is so extensive it also covers glass breakage, regardless of the reason. 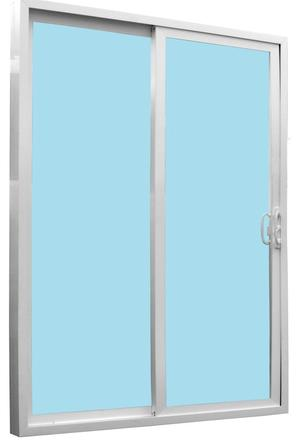 If white or cream white are not for you, then you can also choose to get our doors in any color your heart or home desires. • Industry-leading lifetime warranty with glass breakage. • ENERGY STAR® qualified with optional Low-E.